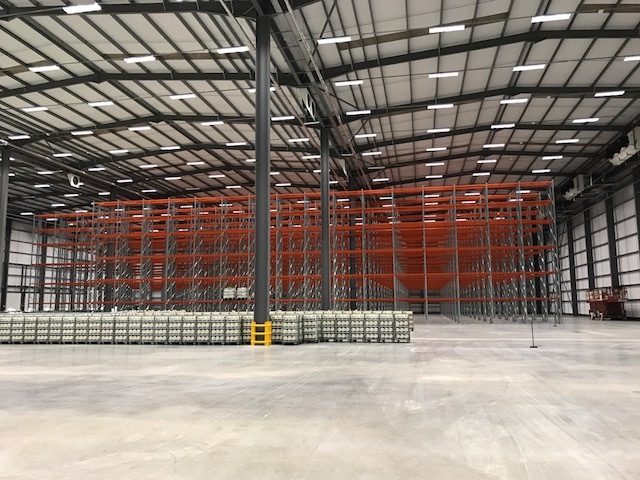 Warehouse Storage Solutions were appointed by Moran Logistic to fit out their new Distribution Warehouse in Castle Donnington. This project was awarded off the back of the successful contract completed at their Oldham site. We designed, supplied and installed 9,200 pallet locations into the new site. 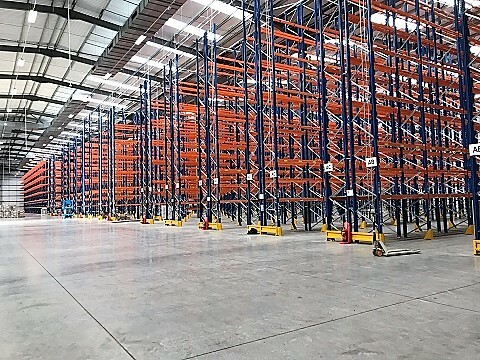 The pallet racking is 12,500mm high with each level capable of taking a uniformly distributed load of 2,500Kg. 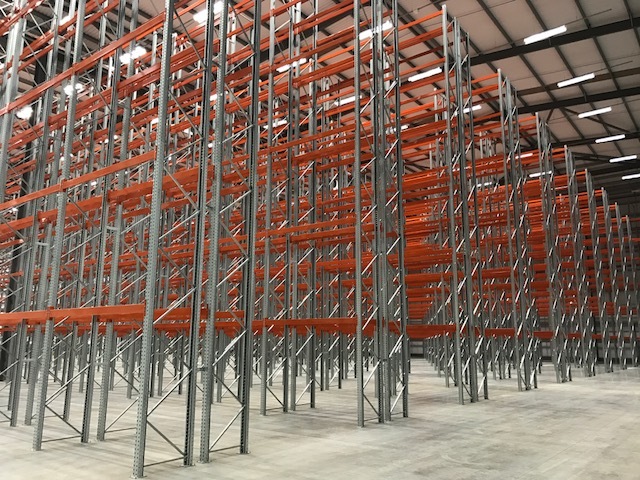 Warehouse Storage Solutions was also awarded the complete office fit out which we have now completed and the warehouse is now fully operational.